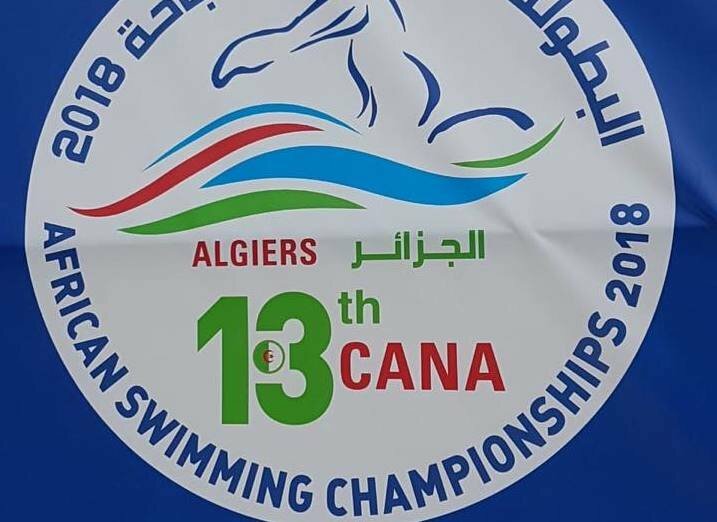 There were no more medals for the South African team as the 13th CANA Africa Swimming and Open Water Championships wrapped up in Algeria on Sunday. The only events on Sunday were the women’s and men’s 5km open water races. South Africa ended the championships in Algiers with an outstanding total of 40 medals (12 gold, 18 silver and 10 bronze) and claimed second spot on the medals table behind Egypt (48 – 28 gold, 14 silver and six bronze). Sasha-Lee Nordengen came closest to a medal in a hard-fought swim with Cherouati Souad Nafissa but it was the experienced Algerian who came out on top in 1hr 02min 49.02sec, while Nordengen finished fourth in 1:04:44.43. Amica Dejager ended seventh in 1:05:03.59, Samantha Randle came in ninth in 1:05:28.86, Kaitlyn Albertyn was 11th in 1:06:41.92 and Tasneem Ebrahim took 14th spot in 1:10:32.17. In the men’s 5km open water race, the battle was between Marwan Elmarawy and Darren Minnies. In the end, it was the Egyptian’s speed that won him the gold in 57min 55.21sec, while the South African finished sixth in 1:01:19.28. Hein Vantonder ended the race in 10th place, clocking 1:03:02.04, while Aiden Peterson and Abdul Malik came in 12th and 13th respectively, in 1:04:51.75 and 1:04:59.58.